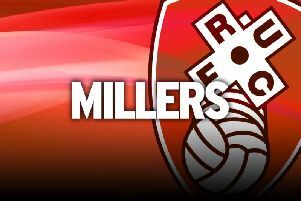 Club captain Lee Frecklington has committed himself to Rotherham United for the next two years. The 30-year-old today signed a contract extension which will keep him at AESSEAL New York Stadium until 2018. The midfielder, who has played his part in two promotions and two survival seasons in the Championship is a hugely popular figure and his new deal will be welcomed by supporters. His existing deal was due to expire at the end of next season. Frecklington joined Rotherham in their League Two days in 2012 from Peterborough United and has since made 144 appearances.